The wooden coasters are the unique products which will defintely attract your guests if kept at the dining table. 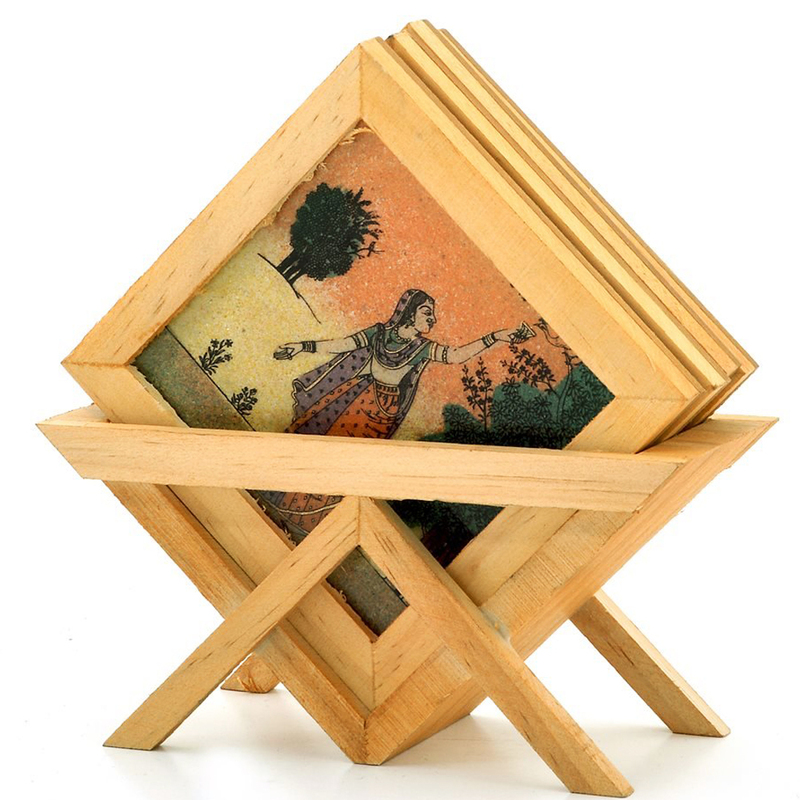 These coasters come inside a wooden Read More..stand and make it look elegant. These kinds of products has the ability to transform the mundane look of any place. Add this to your dining table and see how the ambience change entirely all because of these attarctive looking wooden coasters. Show Less..